The first three decades of the 20th century were an extremely fruitful and creative phase in Germany’s art scene. An upcoming auction captures the great names of this epoch. The autumn auction at Grisebach in Berlin, held from 29 November to 1 December, is all about modern and contemporary art. Particularly well represented are masterpieces from the first three decades of the 20th century and with them the great names of German Expressionism and the influential artist group, ‘Brücke’. Brücke was founded in Dresden by Ernst Ludwig Kirchner, Fritz Bleyl, Erich Heckel and Karl Schmidt-Rottluff, which was very significant for the second and more important wave of expressionism in Germany. 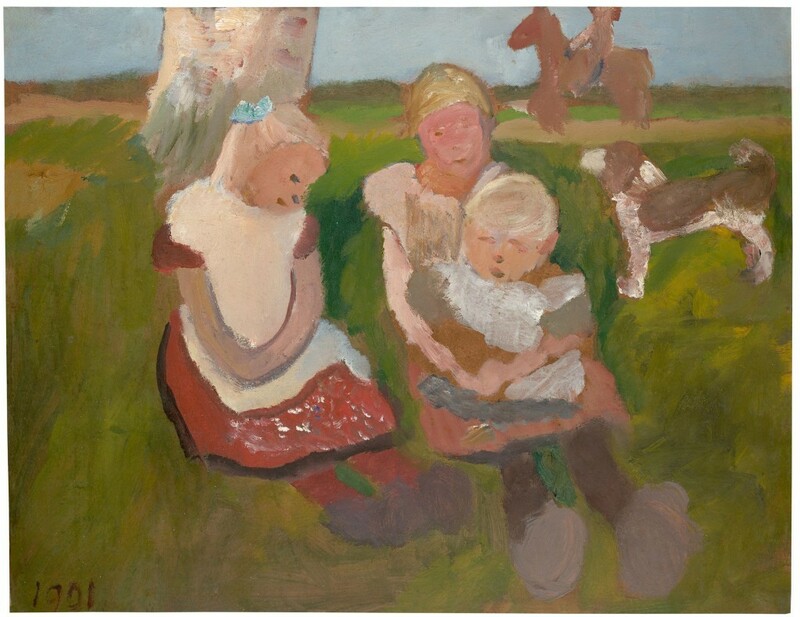 From Paula Modersohn-Becker, a painter of the first expressionist wave that spawned the European art scene in the late-19th century, is Three Children Sitting on a Hillside with a Dog and a Horse from 1901. It was directly influenced by the impressions that the artist had collected during her first stay in Paris the year before. Like many artists before and after him, Erich Heckel moved to the sea, where the landscape was extremely inspiring under a wide horizon. Heckel's place of longing was Dangast on the Jade Bay, where the present work Blue Iris was created in 1908. 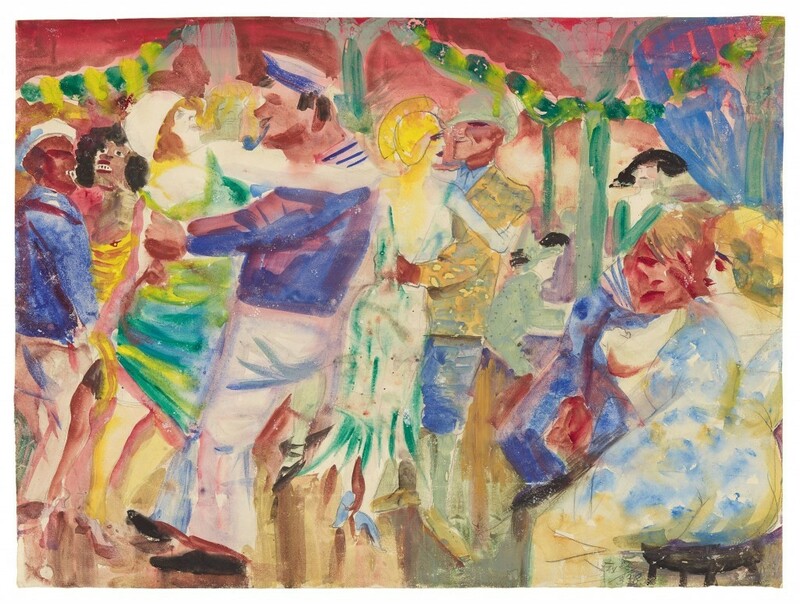 Emil Nolde only belonged to the Brücke for a short time . He was also fascinated by the landscape on the coast and the sometimes threatening power of the North Sea, which showed its ominous face in storms. 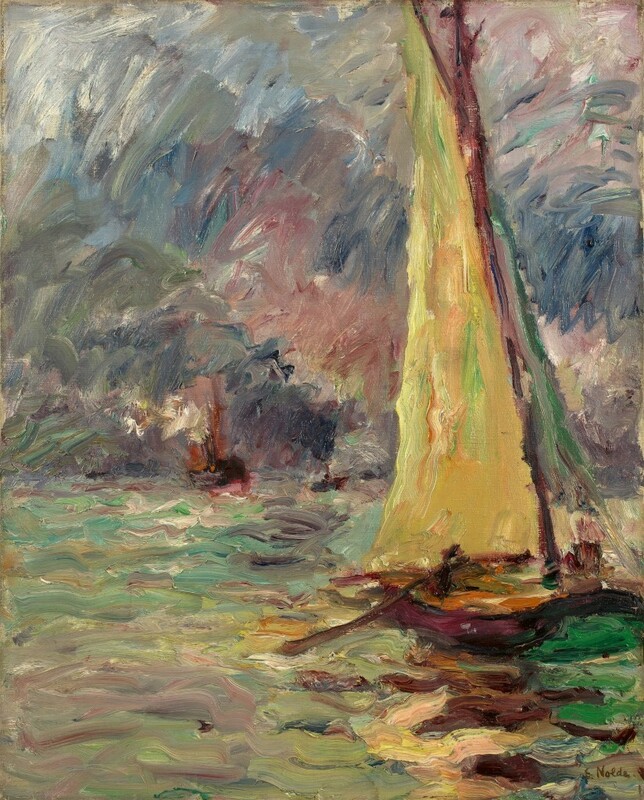 Nolde's fascination is also evident in this work Sailboat, which was created in the Port of Hamburg and is rightly counted among his best works. 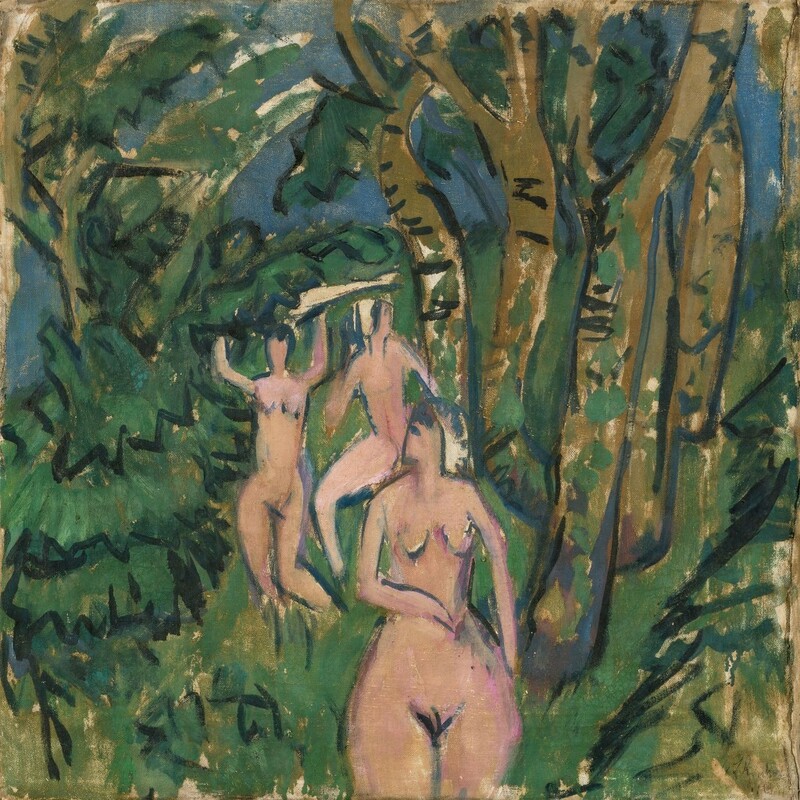 With File in the Forest by Ernst Ludwig Kirchner is another work from a founder of the Brücke group. With an estimated price in the range of more than £1 million, it is also one of the highest priced lots of the auction. It was created in 1912 on the Baltic island of Fehmarn, on which Kirchner spent the summer of 1908, 1912 and 1914, together with his partner Erna Schilling, and where he executed some of his best works. Kirchner himself described these as "pictures [...] of absolute maturity". Last but not least, another important institution of German Expressionism was the art almanac 'Der Blaue Reiter', which was initiated by Wassily Kandinsky and Franz Marc in Munich. 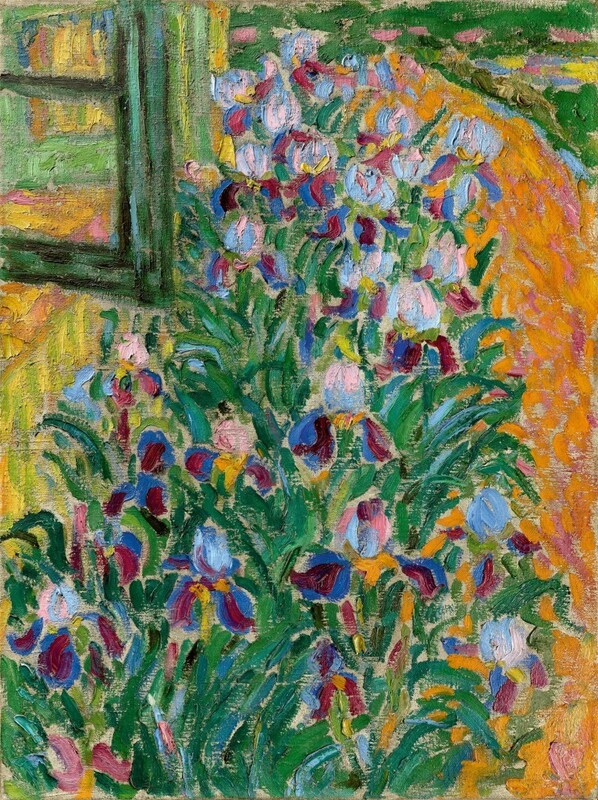 As Kandinsky's longtime partner, painter Gabriele Münter was closely associated with the Blaue Reiter. 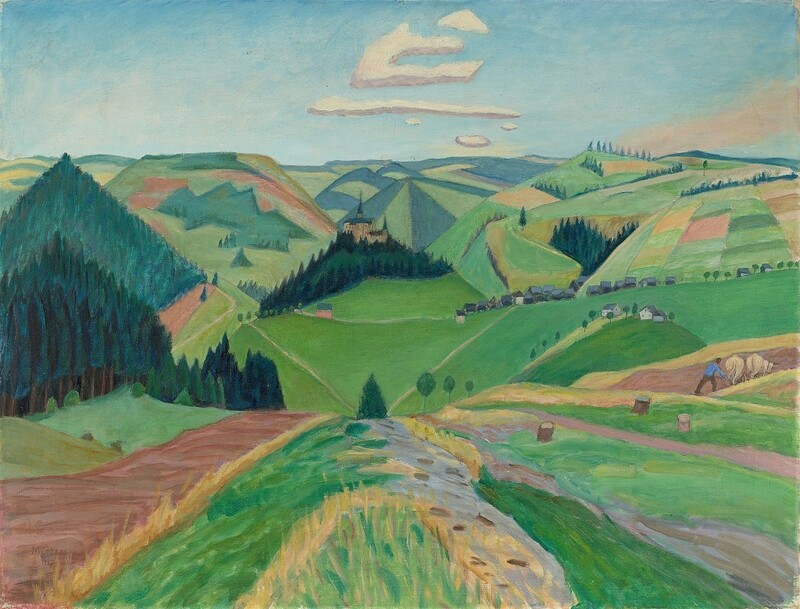 Münter’s scenic works are usually located in the mountains and foothills. An interesting work, from the point of view of perspective, is the present Lauensteiner Land of 1927. The autumn dates for Grisebach are: ‘Selected Works’ on 29 November and ‘Modern Art’ and ‘Contemporary Art’ on 30 November. Additionally, on 14 December Grisebach are hosting a charity auction.